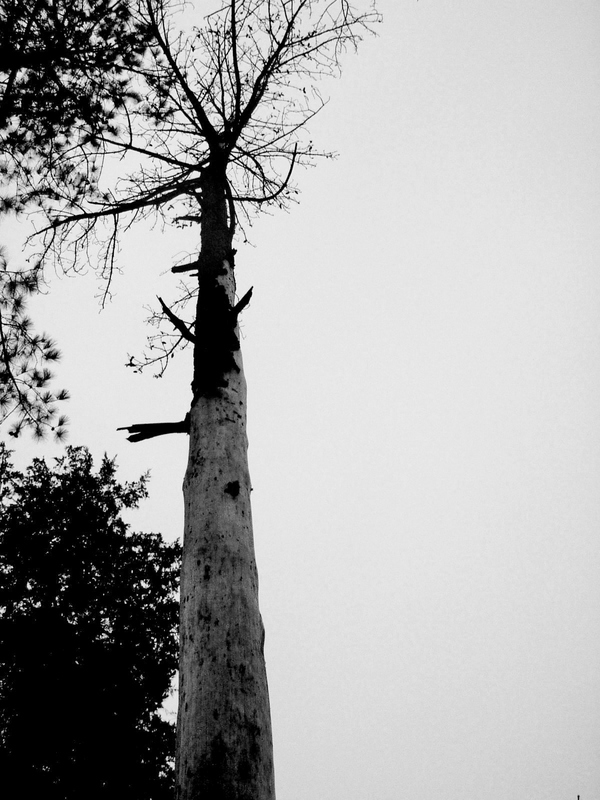 The skeleton of a Virginia Pine, stripped of bark halfway up, stands tall outside my kitchen window. Limbs once thick with needles are skinny bare now and broken from January’s wind and ice. No more blending in, its pale features stand out. I glance again, a difference today. Pine cones dot the tree’s outstretched arms, cling to its brittle fingers. I don’t remember them. The tree held and let go only raindrops yesterday. I walk outside for a closer look. The screen door slams, setting pinecones to flight, black seeds on the wind. Our January is cast in shades of freezing and thawing earth. Garden steaks stand in rows, lonely for vegetation. 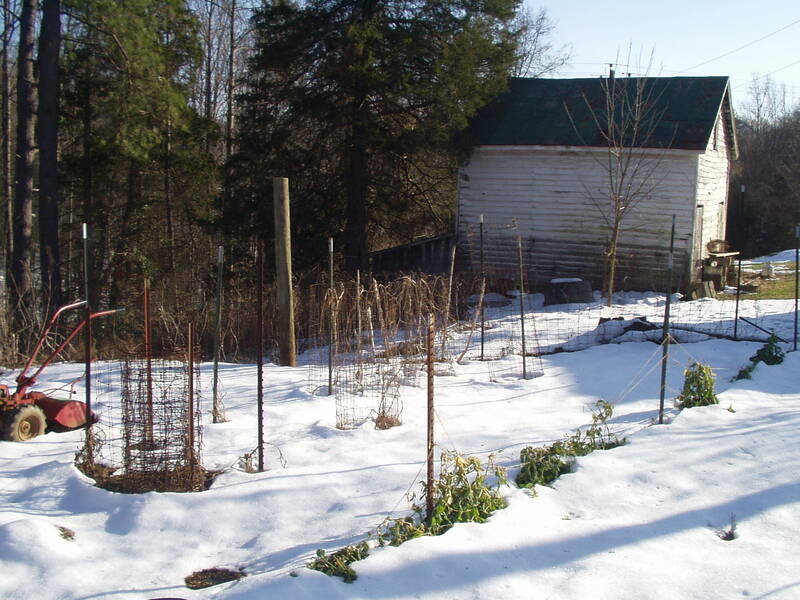 Late sugar snap vines kneel, heads bent to the frost, their curled fingers un-pried from the climbing wire. The rusted red tiller is stalled, mid-plow in snow, lost in the white, searching for fertile ground. The barn day-dreams in the distance, vision fixed South, its back braced against the wind. Every once in a while its gray bones rattle. A man and his daughter walk across the pasture toward the hickory tree. It’s cold and they don’t have hats.